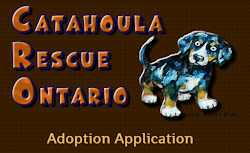 Catahoula Rescue-Ontario: Meet Lady ADOPTED! Hello everyone, my name is Lady and I love to play. I spend my days with my foster brother and sister who keep me entertained with our squeaky toys and stuffed animals. We share well and play great together even though I play like a puppy most of the time. I am young and I am still learning. I am working on some commands like sit and my recall is getting better. 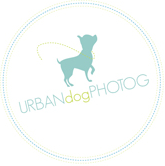 I think I would benefit from some puppy school or obedience training. I am extremely curious about all this new stuff to me. I like to investigate every nook and cranny of my foster house. Everything is so new to me! I am very fast, agile and full of energy. I love my big back yard and all the fun stuff there is to do outside. I am crate trained and love my peace and quiet and will cuddle up with my foster parents or brother/sister when it is time to sit and watch a movie or read the paper. Lady is spayed, up to date on vaccinations, heartworm tested (negative), and will be microchipped prior to adoption.